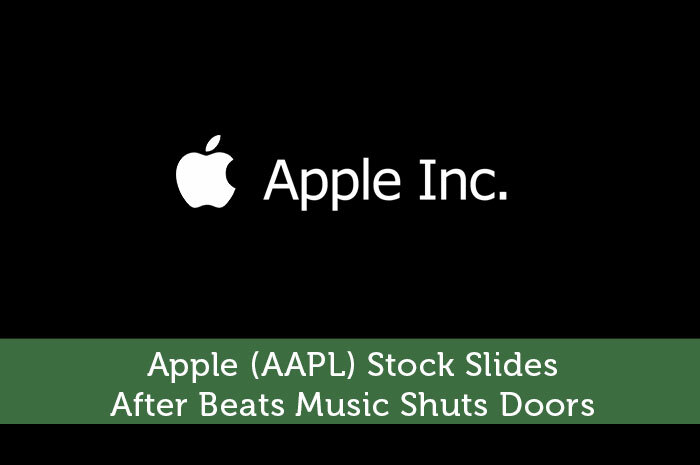 In June of this year, AAPL shelled out $3 billion for the acquisition of Beats Music. This acquisition gave Apple the rights to the Beats Music streaming service, headphones, speakers and more. However, it doesn’t seem as though AAPL wants people signing up for Beats Music any longer. On November 30th, All Beats Music subscriptions will be canceled. However, Apple isn’t giving up on streaming music. Instead it’s recommending that members sign up for Apple Music, the streaming music service created by the tech giant. Apple has also mentioned that Beats Music features will be available through Apple Music’s streaming service. It’s also important to remember that Beats Music is far more than a streaming music service. While the additional features will surely add value to Apple Music, Beats Music speakers, headphones and other products will still be available for sale, bringing value into Apple that way as well. In my opinion, I don’t believe that we’re going to see a swift bounce back from declines in this case. However, that opinion has nothing to do with Beats Music. In fact, closing the Beats Music streaming service and funneling customers into Apple Music is a strong move in my opinion. Nonetheless, there is a reason to expect declines from AAPL as well as the rest of the US market. That reason is the Federal Reserve. I know that I’ve talked a bit about the Federal Reserve in just about every recent post I’ve written. However, I’m doing this because it is a very important development and investors need to be aware and prepared. With that said, for those of you who don’t know quite yet, the Federal Reserve has been planning to increase its interest rate since late last year. They announced that the plan would be to increase their rate by the end of this year. While economic conditions didn’t support that goal earlier in the year, they do now. This means that we’re likely to see a rate hike in December. When this happens, consumers will find themselves spending more on interest and less on products and services. The move will also increase the value of the USD, putting pressure on the commodities market, China, and several other areas. As a result, we can expect the higher rate to lead to lower sales for Apple and just about every other publicly traded company. In fact, this is why we’ve seen the recent declines in the market that we’ve seen. Ultimately, the pressure from the Federal Reserve is likely to hold AAPL down, adding more resistance to the pace at which AAPL can recover. Apple is a great company and for the most part, a great stock to own. However, right now isn’t a good time to expect growth out of the market. With the global economic conditions as negative as they are and a rate hike on the way, we simply can’t expect any substantial growth in AAPL or elsewhere. Where do you think AAPL is headed and why? Let us know your opinion in the comments below! Thanks for sharing your thoughts on AAPL. I’m long the name and looking to pickup more around the $104 level. I don’t think AAPL got in bed with the Beats gang for any other reason than to get access to the hardware. The streaming service was likely slated to be axed from the very beginning. Think of the headaches involved with tracking purchases of the music, managing subscriptions, and such for another streaming service in addition to iTunes. Seems like the prize was the hardware, and they can now take the best part of the deal and make a few more billion a year from selling those quality headphones and speakers.